The Sage Built team, with its expert knowledge of fine custom homes, luxury design, architecture, tear downs, and rebuilds—pursues excellence at every turn. Sage Built is committed to creating an exact reflection of your luxury dream home vision. Sage Built is a custom luxury home builder that has received numerous accolades and awards, but our greatest satisfaction when we finish building a luxury custom home is hearing the homeowners say, "Thank you for making my dream a reality." 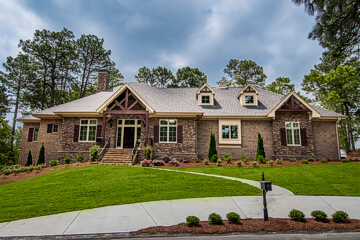 Sage Built crafts uniquely-tailored luxury custom homes throughout Raleigh, Cary, Apex, Chapel Hill, Durham, Pittsboro, and Pinehurst, North Carolina. 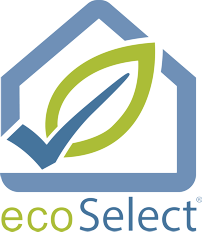 As a builder of ecoSelect® homes in luxury communities, our customers enjoy substantial energy savings and the peace of mind that comes from owning homes with reduced ecological footprints. 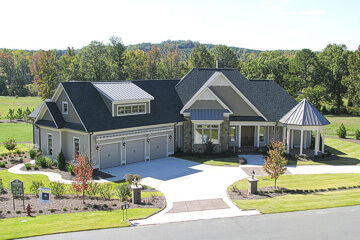 Sage Built builds your dream home from your plan, or from our award-winning portfolio of homes. If you already own your dream home site, we can build your new home on it. 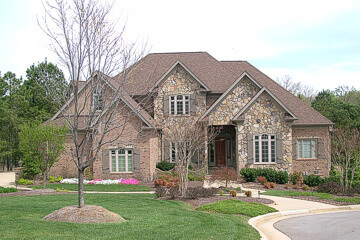 We can build your luxury custom home anywhere in the Raleigh, Cary, Apex, Chapel Hill, Durham, Pittsboro, or Pinehurst areas—or anywhere in central North Carolina. 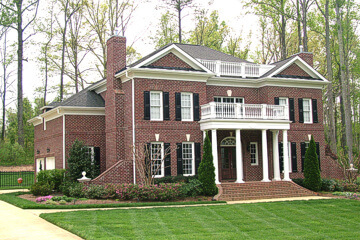 We've created stunning luxury custom homes in exclusive affluent communities such as The Hamptons, The Summit at The Hamptons, The Estates at Chapel Ridge (Pittsboro), Henderson Woods, Annandale at Creekwood (Chapel Hill), TPC at Wakefield Plantation, Inwood Landing (Raleigh), and Fairwoods on 7 (Pinehurst). Live and play in the heart of the Triangle amid Chatham County serenity. Enjoy kayaking and hiking in Jordan Lake State Park, biking The American Tobacco Trail, and proximity to top shopping and dining destinations. Minutes from RDU International Airport, the world is at your doorstep. Anywhere you want to live in CENTRAL NORTH CAROLINA. If you've been mapping out a plan for building your dream home and envisioning what it will look like and imagining where it will be—don't compromise or hesitate. 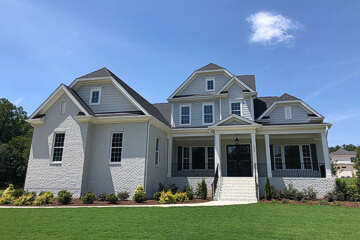 Sage Built can build your luxury custom dream home from your plan, or from our award-winning portfolio of homes, right on your home site or a choice location—anywhere in the Raleigh, Cary, Apex, Chapel Hill, Durham, Pittsboro, or Pinehurst areas. You all made the entire process so easy and we're thrilled with the quality of our dream home. I was a bit hesitant at first with the custom home process, but your staff made thing so easy. Thank you again!! My wife and I could not be more impressed with this builder. We are currently under contract to by a magnificent Sage Built home in The Hamptons! Their craftsmanship and attention to detail is truly top tier. We would like to say thank you. We remember when we signed on and began the building process that as far away clients we gave you both artistic authority to make the small and medium decisions. Harry was in constant connection on the larger decisions and other matters. 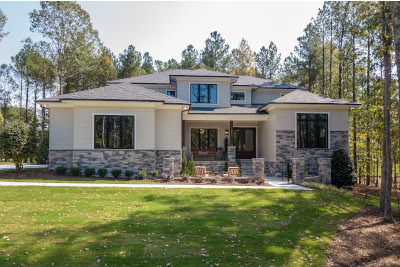 With a combined 100-plus years of building luxury custom homes, the Sage Built leadership team has the vision, knowledge, and experience to build the finest custom luxury homes in central North Carolina. The pursuit of luxury inspires the Sage Built team's passion and dedication to custom homebuilding. Sage Built considers it a privilege to work intimately with each of our clients to create a custom luxury home that fits their style, size and budget.